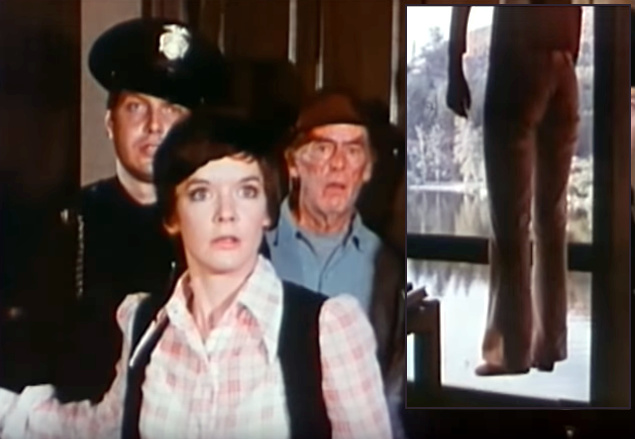 Over the last few years, mostly thanks to youtube, I've excavated quite a few of those wonderful old made-for-TV movies of the 1970s. At 90 minutes (with commercials - around 73 minutes without), they are terrific little opportunities to see some favorite old stars involved in a variety of shenanigans from horror to disaster to drama of any kind. 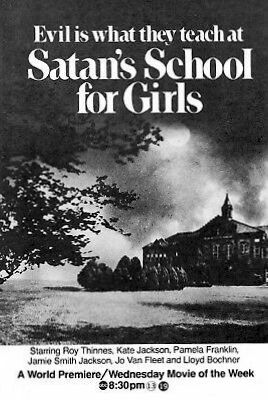 I don't know how, but today's entry escaped me all these years until now; 1973's Satan's School for Girls. 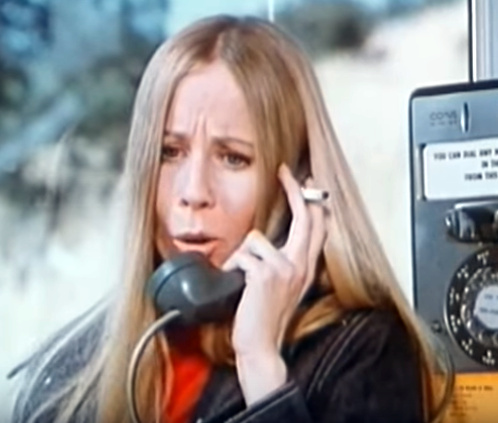 She places a collect call to another woman and is distraught that the recipient isn't there as she is supposed to be. Nervously lighting a cigarette, she wails that the operator that her party HAS to be there. But she's not... Then she spots an intimidating looking vagrant approaching her and tears off in the car. It appears that all he wanted was a smoke, but she wasn't about to stay and find out. Next she heads to a lovely beach house and desperately tries to enter, but can't. A (hideously intim- idating) handyman with a sickle (!) approaches her, again freaking her out. Apparently, no one who isn't craggy and petrifying felt like leaving his house that day? 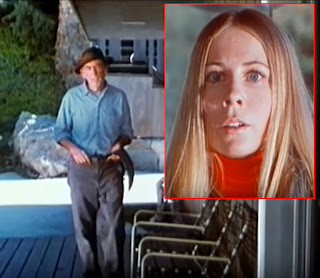 Thankfully, he has no desire to hack her to death and even has a key to the place, allowing her to enter. Once inside, she draws most of the blinds, locks the door and presses herself up against a support beam to await the girl she's trying to meet with. But just when she thinks she's escaped the danger, she turns and sees someone or something threatening! 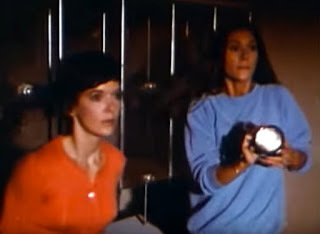 Cut to Pamela Franklin, coming home to her beach house (the one we've just seen) and finding an array of police cars in the drive. Two officers and the handyman are attempting to enter the place after having heard screaming. Franklin tries to enter, but since the door chain is fastened on the inside, she cannot get in. 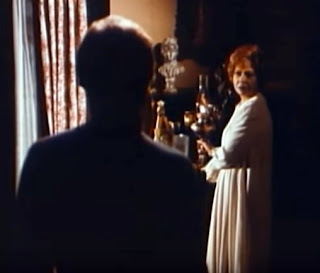 The actress's diminutive height also gives her the unfortunate effect of having a chain mustache as she pleads for Lumley (who we discover is her sister) to let her in! 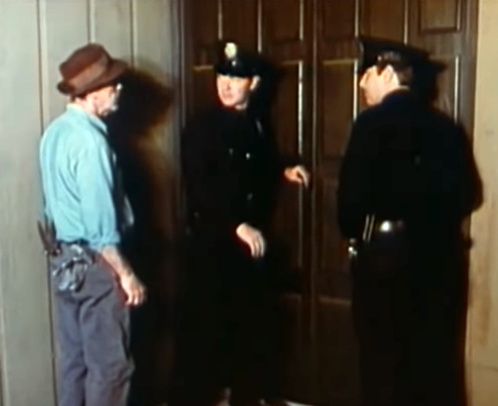 Finally, she asks one of the officers to knock the door down. 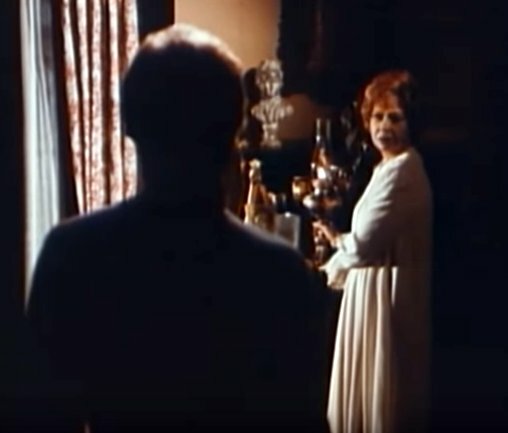 He opts instead to shoot the chain off the door and the four of them bound into the room to find Lumley hanging dead from the rafters, an apparent suicide. 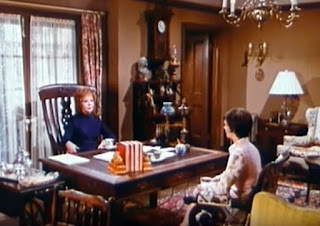 Detective Frank Marth, after a supposedly thorough invest- igation, has decided that Lumley did kill herself, but Franklin will have none of it. She exclaims that her sister had no reason at all to do such a thing, especially the way she did it, coming all the way to her house instead of just driving off a cliff or something. 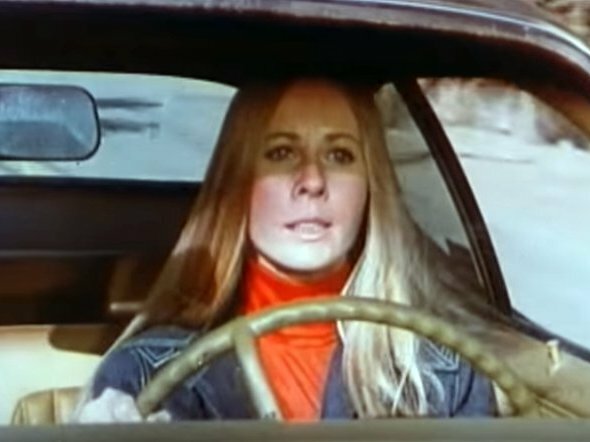 Next she's off to visit Lumley's ex-roommate from the girls school she belonged to. 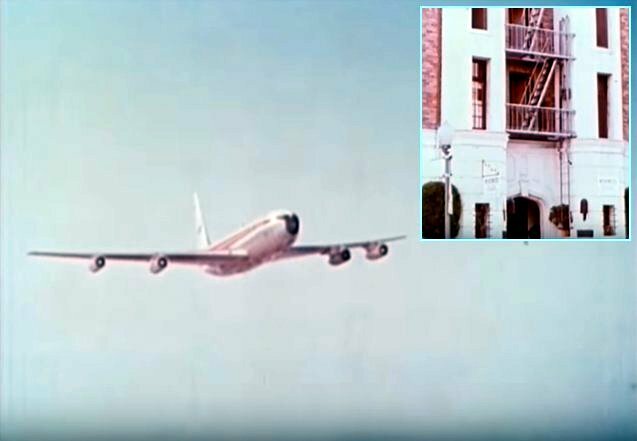 She hops a plane and heads to the apartment of Gwynne Gilford. 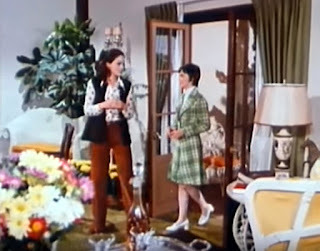 For some reason, Gilford's home looks like the inside of a terrarium, with flowers, plants and butterflies in profound abundance! Talk about your little shop of horrors...! Franklin decides she's going to the Massa- chusetts school where she and Lumley were roomies, but empha- tically - quite desperately, actually - pleads with Franklin not to go and if she does to keep her name out of it at all costs. Immed- iately, she is greeted by three young ladies. (I never did figure out if this was a prep school, a finishing school or what! The ladies seem so old to be going there...!) Chief among the girls who welcome Franklin is one Kate Jackson. Also on hand to greet Franklin are two other students, Jamie Smith-Jackson and Cheryl Stoppel- moor. 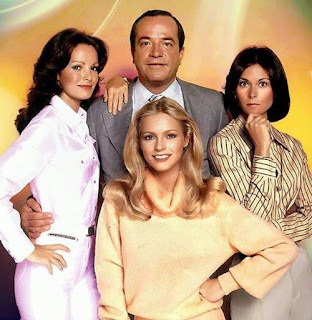 No, your eyes aren't deceiving you... Stoppelmoor soon became Cheryl Ladd and eventually joined Jackson on the hit series Charlie's Angels! I will refer to her with the less unwieldy Ladd throughout the rest of this post. 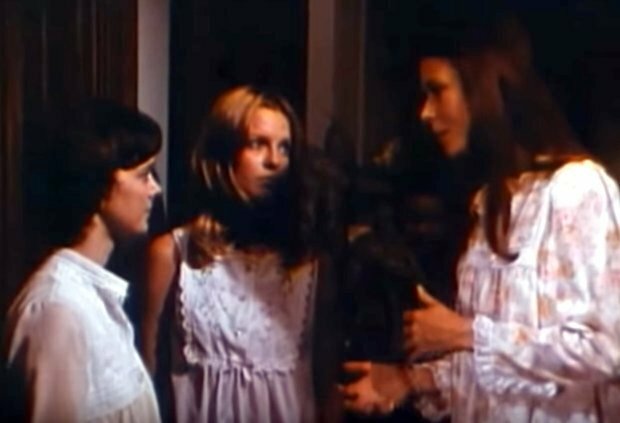 It's mere coincidence that the third girl has Smith as part of her name when the third Angel was Jaclyn Smith! The gals update Franklin on some of the goings on at school, such as the "Dragon Lady" head- mistress, the art teacher they all have a crush on and so forth. Then Jackson breaks out the bubbly and hands Franklin a goblet that a school of goldfish could live in! 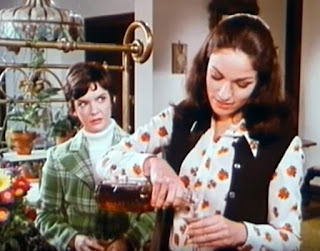 It's a miracle she wasn't half-crocked when she headed in to see the headmistress after this! Soon, she's met up with the head of the school, the described "Dragon Lady," who as it turns out seems nice enough upon first glance. 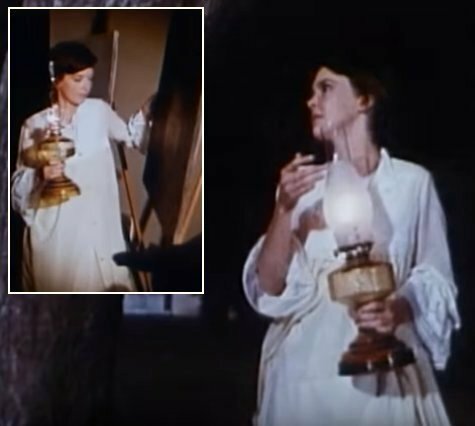 She explains that the 300 year-old school sometimes suffers power outages and issues her an oil lamp. 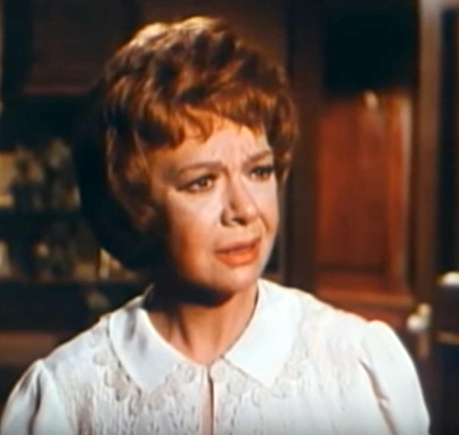 The woman is played by Miss Jo Van Fleet, a remarkable actress nearing the end of her days before the camera though she was still under sixty. 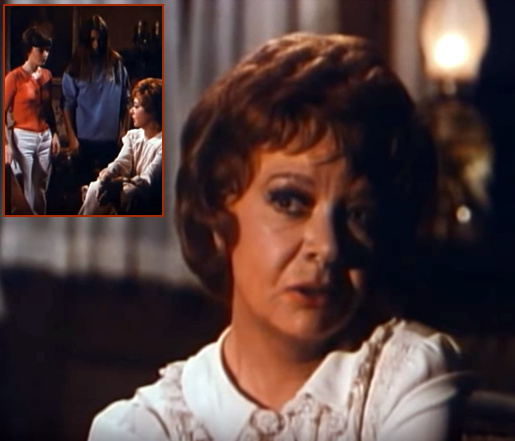 Perhaps Ida Lupino was busy when they shot this movie, though they seem to have left one of her wigs available for use! 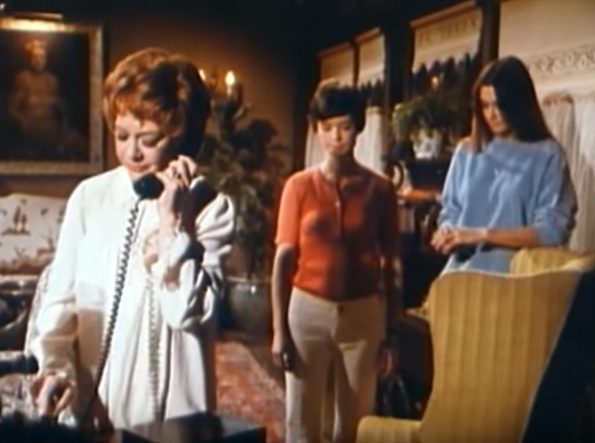 Anyway, Franklin has scarcely left the room when Van Fleet gets a disturbing phone call that appears to have to do with Franklin and her arrival at the school. Because she's already behind, Van Fleet has Franklin begin attending classes right away. First up is an art class being given by the guy Jackson told her has most of the gals in a lather. 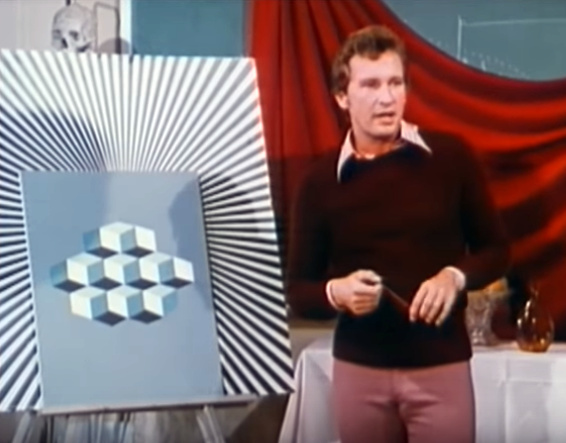 The teacher is played by Roy Thinnes, whose white bucks don't seem to turn the girls off the way they might only a couple of years later! He assigns them an experiment in which they are to look at an optical illusion and determine which way the blocks are going, then blink and see if they change. The board with the blocks on it might have gotten more careful attention if Thinnes' PANTS weren't hypnotic in their own special way...! I had more interest in what direction they were going than said blocks... LOL! All the girls try looking at the picture, determining the way the blocks are facing, then blinking and looking again and all but one (Franklin) detect a change in direction. 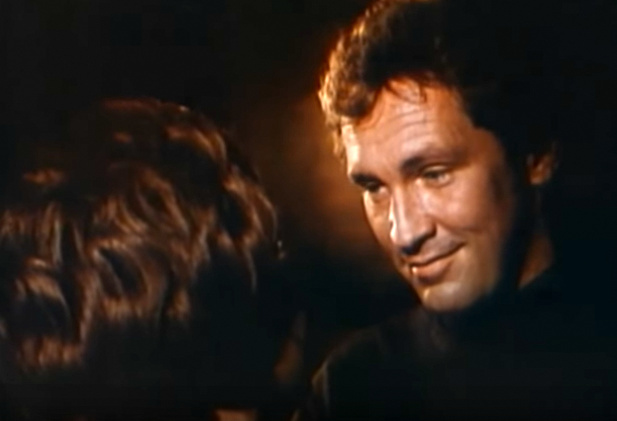 Thinnes has never been a big favorite of mine despite having had a role in our beloved Airport 1975 (1974), but I have to admit that he looks pretty good here, is charismatic and quite possibly the best I've ever seen him. Turns out that this portrait was done by Smith-Jackson. Strangely, no one seems to find it very peculiar, though it is clearly a rather strange and frightening image. Franklin asks her about it and Smith-Jackson says that it was just something she dreamed up, not an actual location or occurrence. The next class (one of only two that seem to be attended by anyone!) 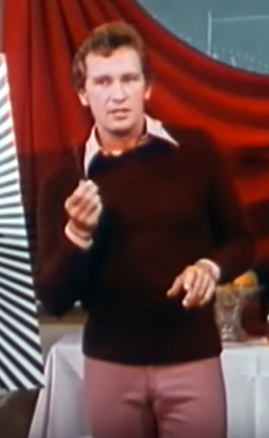 is a psychology class run by professor Lloyd Bochner. All the scenes in this classroom are joined by the annoying squeak of mice running through a large maze. 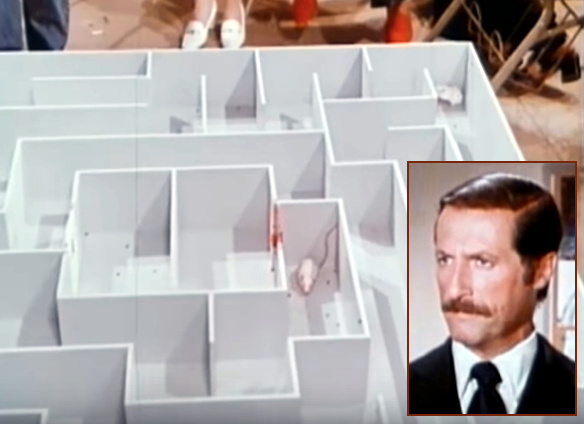 The intense Bochner presses his students for their take on the rather cruel experiment of changing the location of the mice' food from behind the red door to the white one and back again. After a particularly strident tongue-lashing from Bochner, Smith-Jackson starts becoming severely agitated and within a few moments after exiting the classroom she starts working herself into a frenzy. 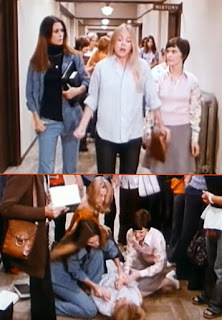 Before long she's on the floor flailing with hair in every direction and Jackson and Franklin try to help her. Later, as Jackson and Franklin attend to her, she awakens in bed feeling perfectly fine and with no memory of ever having been stricken with this fit of anxiety. She bolts from bed in order to be able to attend a wine party (!) that's being thrown by Thinnes. This wine party had under- standably heavy attendance and there are bottles galore. (Where exactly is this school and how can I enroll?! Ha ha!) 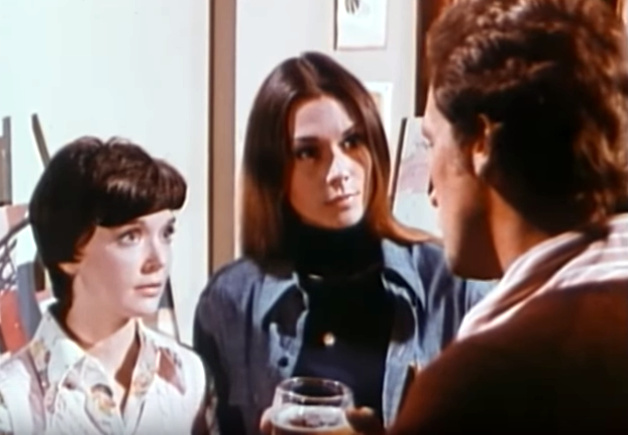 Franklin and Jackson try to pick Thinnes' brain as to why Bochner was so hard on their classmate and seemingly drove her to an anxiety attack. 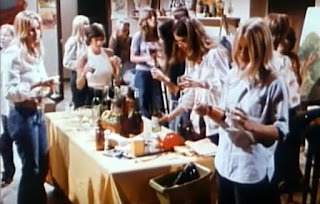 Meanwhile, Ladd is busy doing paperwork for Van Fleet and cannot attend the wine soiree with her friends. 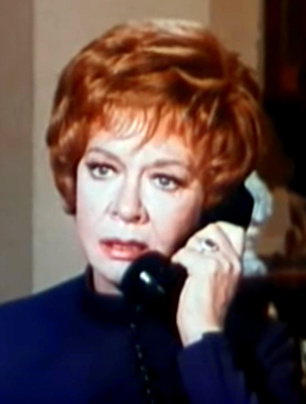 The phone rings and Ladd picks it up only to receive disturbing news. 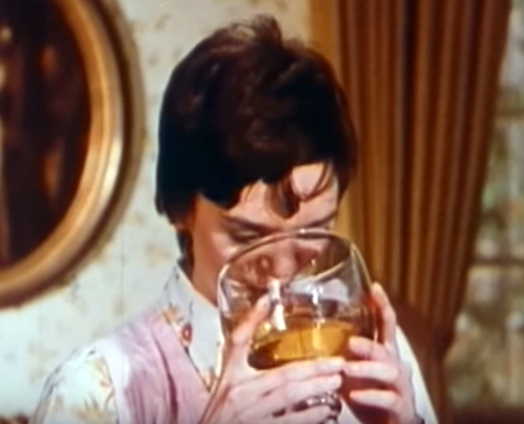 It seems that now Gilford, the former roommate of Lumley, has also committed suicide! 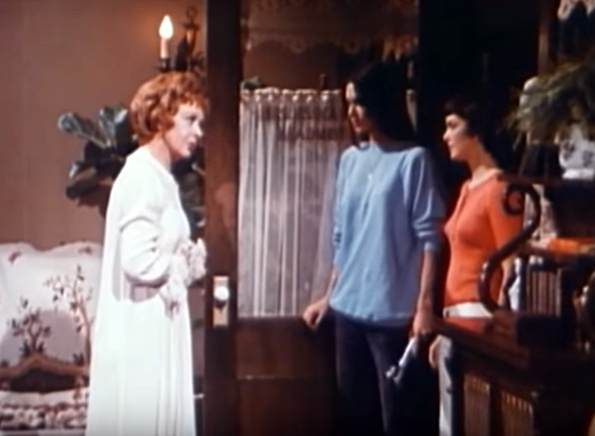 Ladd bursts into the party and relays the grim news to Thinnes and the girls. That night, the power goes out. Franklin is unable to sleep anyway and finally goes to visit Smith-Jackson in her room. She still wants to know more about the mysterious painting but can't get a thing out of its artist. The diligent Franklin isn't about to give up and sets out into the dark night with her oil lamp to find out the truth. 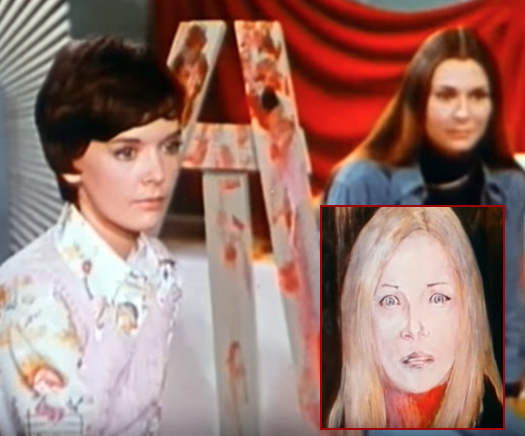 She heads over to the art room and grabs the painting. 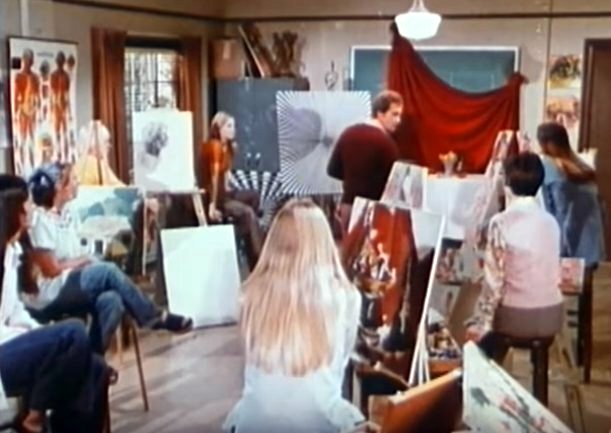 (It made me giggle that she couldn't just memorize the painting's setting. It's not exactly elaborate!) 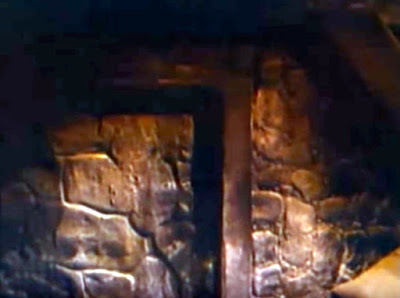 She takes it and heads to the basement where she finds the same layout of stone and timber after holding it up and looking around repeatedly. She's petrified to find someone down there at the same time and goes tearing off through the labyrinth-like basement until she's back in Smith-Jackson's room demanding to know what the story is. This creates a scene that awakens the other girls on the floor. Jackson explains that, long ago, eight girls suspected of being witches were killed in the vicinity. As the sequence comes to a close, we get quite a creepy shot of Smith-Jackson through the rain-speckled window pane. 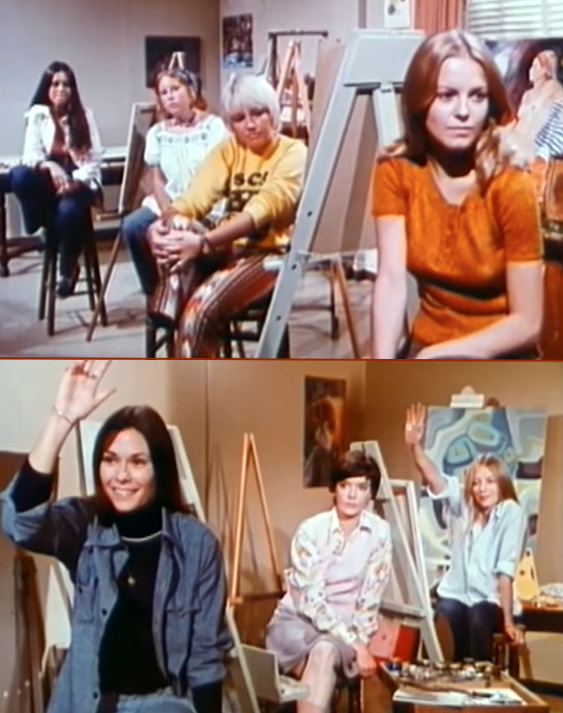 Back in Bochner's psychology class, he's still madly pressing the girls for answers about his mouse experi- ments. He queries Jackson, Franklin and Ladd. Ladd gets the funniest response of all, "Beats me. I'm more lost than the rodents are..."
These could almost be two little girls at the police academy...! Franklin enlists Jackson to help in finding out how all the pieces fit together: the painting, the disturbed Smith-Jackson, the crazed rantings of Bochner, the suicides, etc... They set out in the middle of the night to look around. 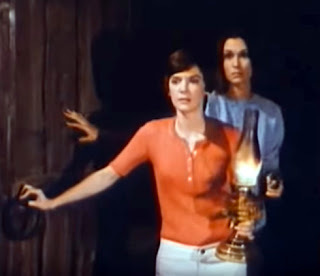 As they head to the infamous basement, they weave their way back to where Franklin noted the resem- blance in setting to the painting and where she was spooked by someone stirring in the darkness. They come upon a grisly sight that sends them bolting back upstairs. 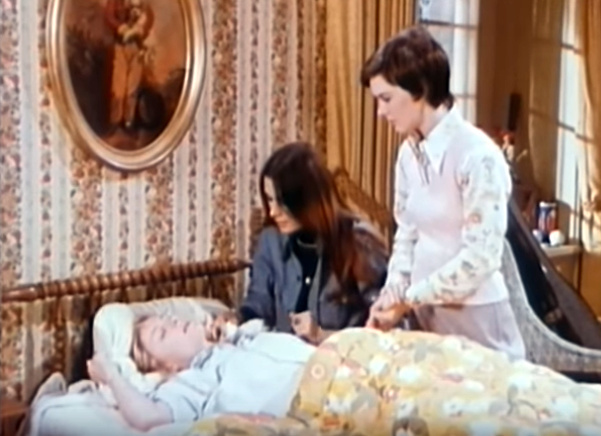 Now they've awakened Van Fleet to tell her the deadly news and needless to say she is shocked and upset over it. She immediately heads to the phone to inform the sheriff, telling the girls to stay put in the meantime. 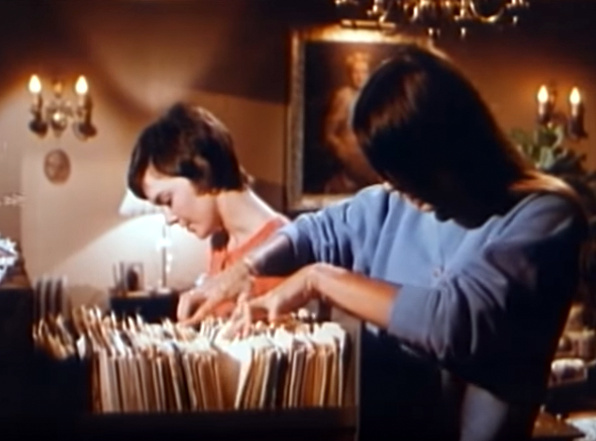 Naturally, they don't consider obeying and instead start rifling through her file cabinet for more information. Next, they head back over to the psychology classroom and are disgusted to find that someone has killed all of Bochner's laboratory mice. Then they are startled again. However, before any harm can come to them, Thinnes appears and tells them that he will get to work on helping them. He tells them to stay in the classroom no matter what while he heads over to Van Fleet's office. Once there, he implores Van Fleet to evacuate the school. There's a bus and several vans that the staff can use to get all the girls off the potentially dangerous campus. Not only is the power still out, but there has been no small amount of mayhem! Van Fleet has begun to come unglued. She's regressed into a childlike form and is blathering on about events from the past instead of the present. Since Franklin and Jackson, again, choose not to do as they were told and stay in the classroom, they come to the headmistress's office and find her close to being out of her mind. Now they head down to the basement for a third time (!) and all the secrets of the Salem Academy of Girls are (semi) explained. 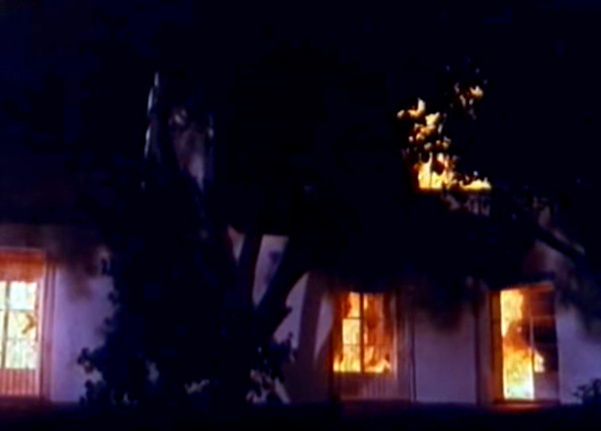 Before it's all said and done, the place has become engulfed in a fiery cataclysm and not everyone makes it out alive. Produced by Aaron Spelling (one of many such telefilms he put together), Satan's School for Girls has several participants in it who would later benefit from working with Spelling again. Jackson was already costarring on Spelling's police series The Rookies as nurse Jill Danko after having put in about a year on the Gothic daytime soap Dark Shadows. She would go from The Rookies directly into Charlie's Angels, another Spelling mega-hit. She had also popped up in other TV-movies like Killer Bees (1974) with her then-boyfriend Edward Albert and Gloria Swanson, Death Cruise (1974) again with Albert and Death at Love House (1976) with Robert Wagner. Discouraged when her schedule with Angels prohibited her from playing the Meryl Streep role in Kramer vs Kramer (1979), she left the show after three years and attempted a big screen career which didn't materialize. 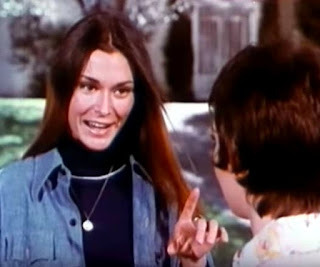 She did score another hit series, though, with the diamet- rically different Scarecrow and Mrs. King, followed by many TV movies. 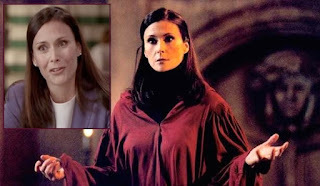 One of these was a 2000 remake of Satan's School for Girls in which she played the school's dean! She continued in this vein until her 2007 retirement. She is now seventy. 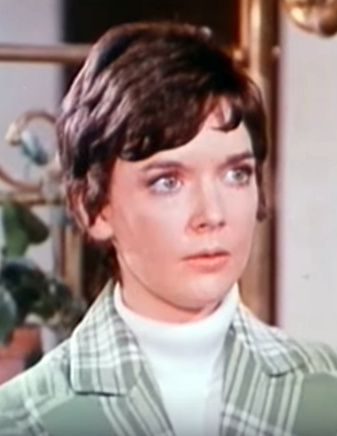 Top-billed Franklin began acting as a preteen in projects as diverse as The Innocents (1961), Flipper's New Adventure (1964) and The Nanny (1965) with Bette Davis. She also costarred with Marlon Brando in Night of the Following Day (1969) and Maggie Smith in The Prime of Miss Jean Brodie (1969.) By the early-'70s she was a TV fixture with multiple guest roles on hit series and telefilms with an occasional feature like The Legend of Hell House (1973.) 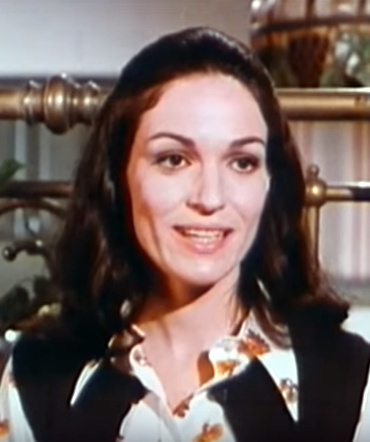 Married in 1970 to actor Harvey Jason, she exited the biz in 1981 and never looked back. She is now sixty-nine. 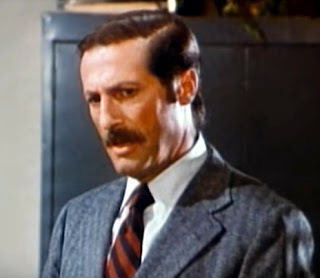 Bochner was another cast member who got a memorable career boost when he worked for Spelling again in Dynasty as the powerful and duplicitous Cecil Colby. 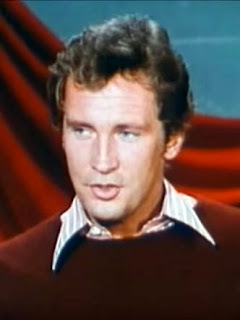 Even though his character memorably died on his wedding day in the third season, he was mentioned throughout the show's nine season run. The always-busy Bochner was prone to colorful overacting and, while versatile, leaned towards smooth, sometimes slimy, villainy. He died of cancer in 2005 at age eighty-one, but left us the splendor of Hart Bochner, one of his three children. One of Lloyd's legacies: Hart Bochner! 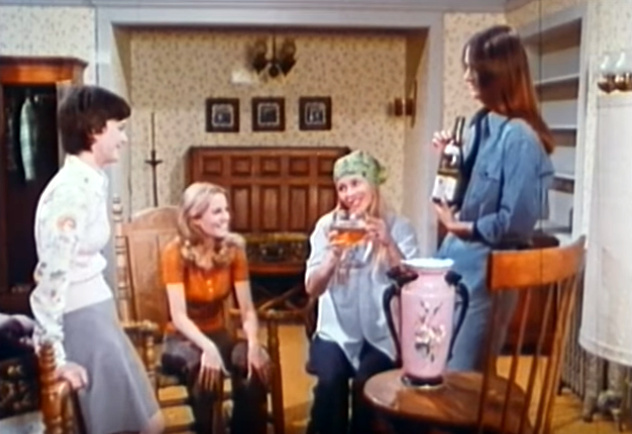 At this time, Smith Jackson was hot off Go Ask Alice (1973), a groundbreaking TV-movie about teen drug abuse. 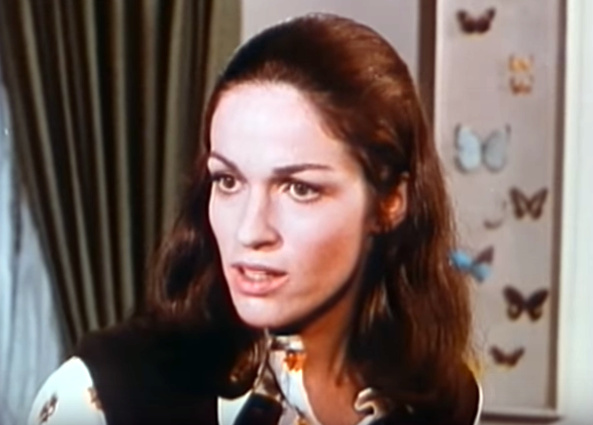 This and Satan's School were but two of TEN acting gigs she had in 1973 alone from guest roles on series to the William Holden romance Breezy. 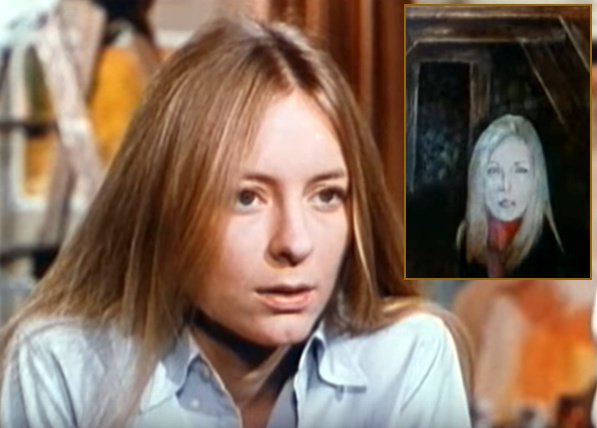 She continued to work (including on Jackson's show The Rookies) in a variety of ways until the late-'70s. 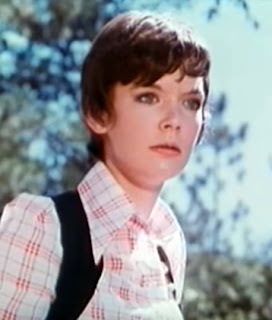 She married Michael Ontkean (also of The Rookies) in 1981 and had two children with him and is now seventy. 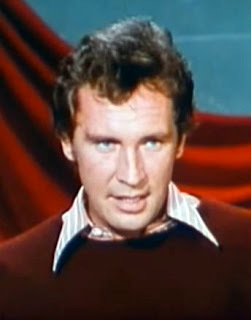 Thinnes started with bit roles on TV and in films in the late-1950s, later making a mark in daytime on General Hospital where he played nurse Jessie Brewer's notorious husband Phil from 1963-1965. 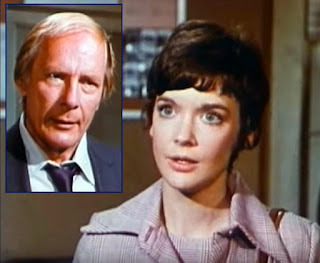 He also starred on the cult sci-fi TV show The Invaders among many other roles in television. 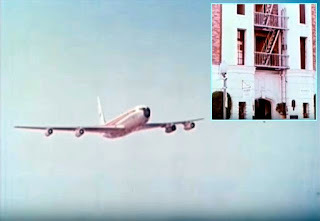 Feature films included Airport 1975 (1974), in which he was the copilot sucked out of the hole caused by a collision with another plane, and The Hindenburg (1975), though he was dealt a blow when Alfred Hitchcock abruptly dismissed him from Family Plot (1976) when first choice William Devane suddenly became available. Thinnes worked up until 2007 before retiring and is now eighty. 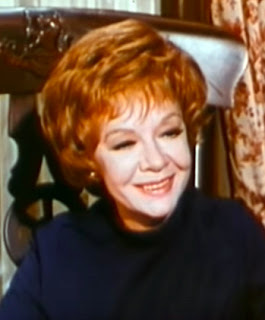 Van Fleet made a name for herself on Broadway in the mid-'40s, eventually winning a Tony for her role in A Trip to Bountiful with Lillian Gish and Eva Marie Saint in 1954. This led to the film East of Eden (1955) for which she won an Oscar. However, she became typed for playing characters far older than she was in real life (in Wild River, 1960, for example, she underwent five hours of aging makeup per day.) 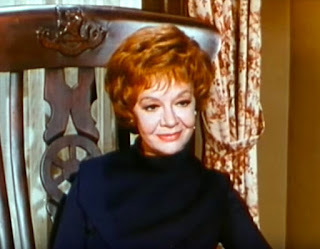 When she played Susan Hayward's mother in I'll Cry Tomorrow (1955), she was only a year and a half older than Hayward. She acted on screen only four more times after this, sporadically, until 1986, passing away at eighty a decade later. Ladd, as Cheryl Stoppelmoor, was a singer who did the vocals for Melody on Josie and the Pussycats animated series. She next began appearing on camera in shows like Harry O, Ironside, The Partridge Family and The Rookies. After marrying Alan Ladd's son David, she took his name and continued busily acting on television. 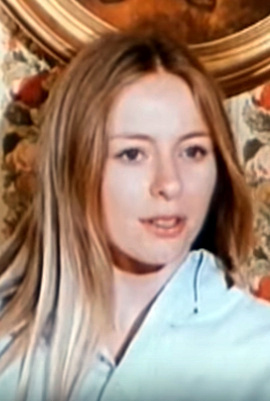 When Farrah Fawcett famously left Charlie's Angels after one season, Ladd was brought onto the show as her younger sister. Ladd was not warmly welcomed by many of the cast and crew of the show, though in time she and Jaclyn Smith became close friends. Jackson was far more reticent, though she was experiencing issues of her own regarding the show. When Jackson left, Ladd wound up as the second-longest tenured Angel of the show after Smith, but many times - allegedly with Jackson's encouragement - it was the initial trio who appeared together at industry events, leaving Ladd out. 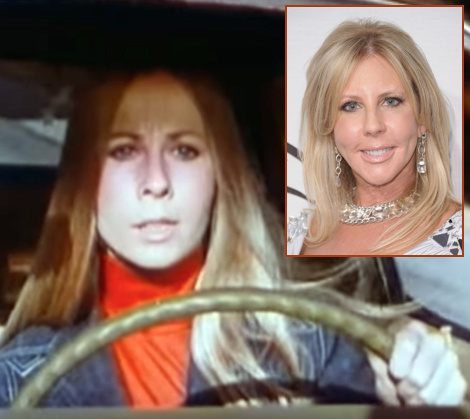 She has worked steadily all these years (popping up as John Travolta's wife on American Crime Story: The People v. O.J. Simpson in 2016) and is sixty-seven at present. Watching Lumley as the petrified victim in the first sequence, I kept waiting to find out that this was actually Real Housewives of Orange County's Vicki Gunvalson in an early unknown acting role, they looked so similar to one another! Lumley had worked on - surprise! - The Rookies and later did Starsky and Hutch, S.W.A.T. and Barnaby Jones, but was out of the business by 1976. She is now seventy-four. Lastly, Gilford had won guest roles on shows such as The Courtship of Eddie's Father, Medical Center and Gunsmoke prior to this. 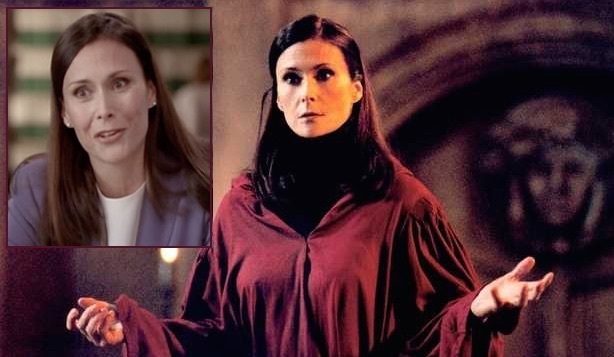 Like almost everyone else, she also appeared on The Rookies! Later, she had two attempts at regular series roles (The Waverly Wonders and A New Kind of Family), but neither show lasted. Having wed fellow actor Robert Pine in 1969, she eventually became content to do the occasional part on his series CHiPs, while raising their two children, one of who grew up to become a cinematic leading man, heart-stoppingly beautiful Chris Pine! She is currently seventy-two. My GOD, what would have happened if Gilford and Bochner had procreated TOGETHER? I don't think the world could have taken it. I was bewitched by this Poseidon. I love that you did the movie but even better was all the fascinating connections and gorgeous offspring. "St Trinian's School For Girls" is a beloved comedy about mischievous young women, remade fairly recently. I wonder if this movie is a riff on that title? 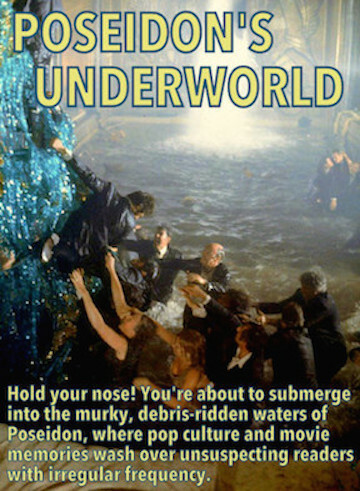 I have also heard it used as a punchline the way certain movie titles become cultural touchstones. Pamela Franklin was very pretty and I remember her vividly from the terrifying Hell House movie, and assume she must have been Flora in the fabulous "Innocents". 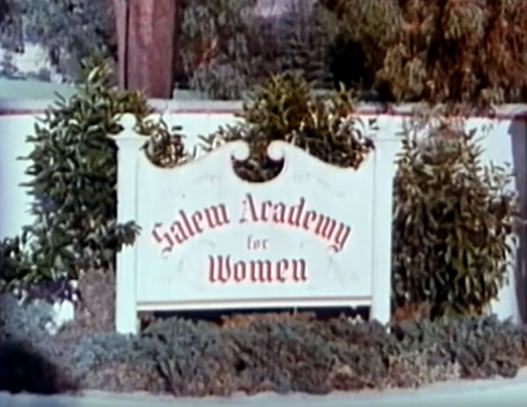 Lol on Salem Academy for Women, big clue there I think. 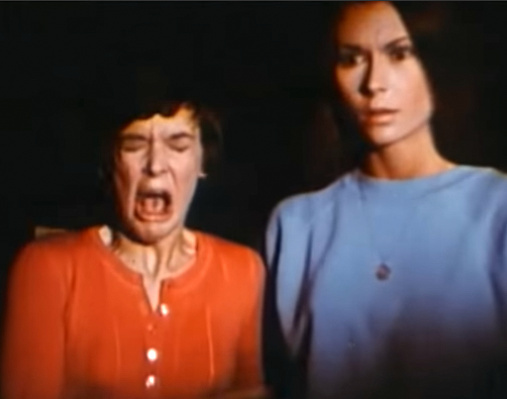 The photo of Franklin screaming with Kate is a keeper. I might try to make it my screen saver on my phone. 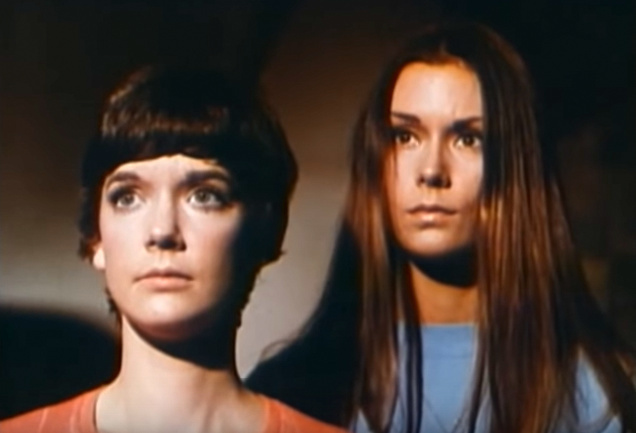 These kinds of tv movies were an obsession in my childhood and we looked forward to them all week, as much as The Night Stalker. I recently watched the TNT mini series with Chris Pine, "I Am The Night" and while flawed, he was great in it. Magic post! I remember this movie and its terrific cast. Funny, the serendipity of relationships or maybe Hollywood is just a small town. When I first saw this post I mistook it for another movie altogether. 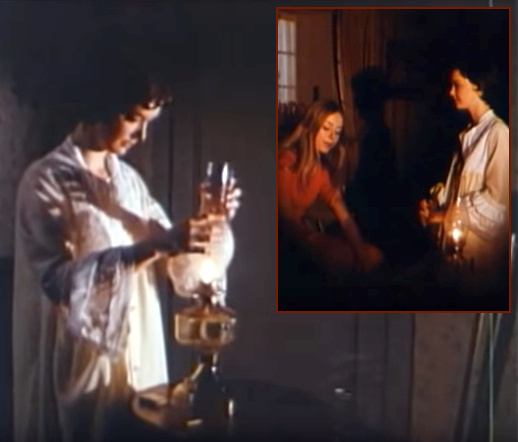 The Possessed - about another girl's school with demonic secrets. Worth a look if you have the time. ABC's Movies of the Week often delved in the supernatural, didn't they? 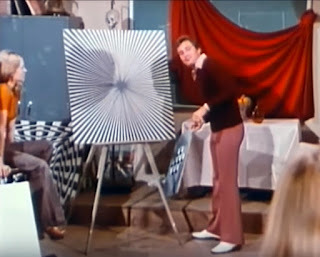 I remember anticipating some of these as a kid, as if they were great works of art! Such fun though, mixing newcomers with veteran stars. 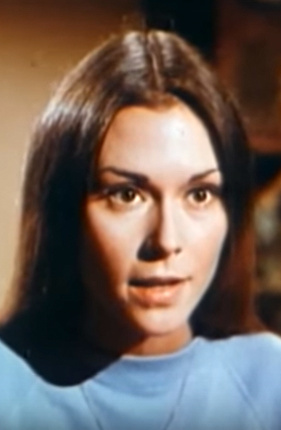 Kate Jackson's got that Cher hair going! 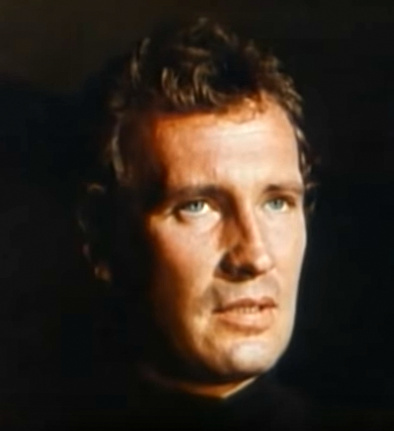 Roy Thinnes often creeped me out, but he's looks a bit like a young Lee Majors here. 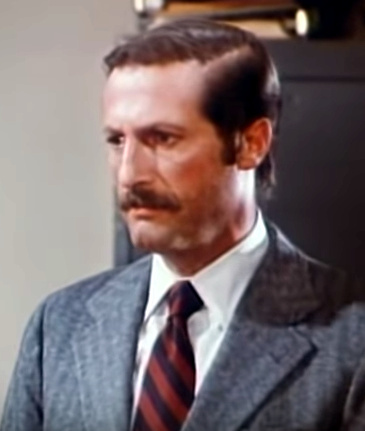 And Lloyd Bochner, always the supercilious creep! Often wearing an ascot or kerchief! This brought back some memories, thanks! 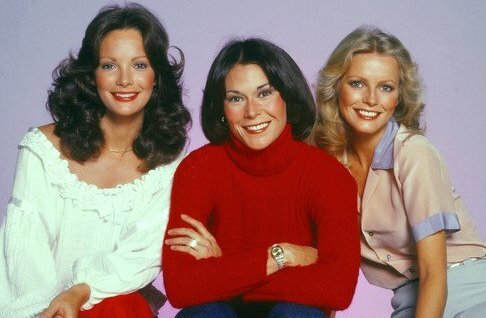 Rick, later, after Jackson cut her hair, she and Cher became close friends. Some believe far more than that. (And Cher was rocking very short hair of her own by then too.) They made an intriguing, unexpected combo. LOL about Lloyd and his ascots...! I wish I could show you the pics I have of Hart Bochner. Taken on an all hot-boys boat trip in the early 80's. He really fills out his tiny speedo. Every guy is drop dead gorgeous. Kevin, there's always poseidonmail@yahoo.com! LOL :P I feel like I saw one or two of those pics online when I was researching this post. On behalf of others, I won't mind a Hart Bochner All Male Boat Trip post! 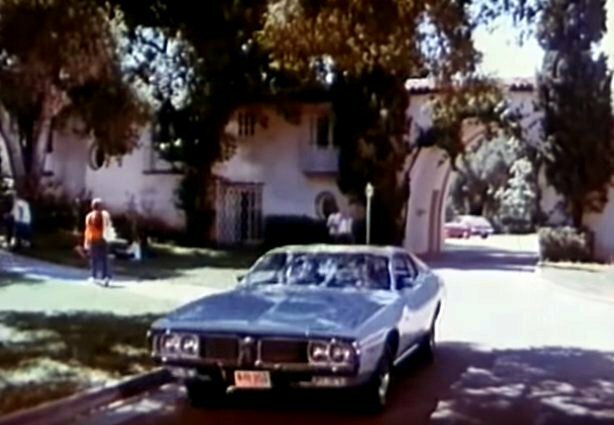 I remember "Death at Love House" more than this one, because it scared the bejesus out of 8 year old me. There's a drowning in a shower, I think?